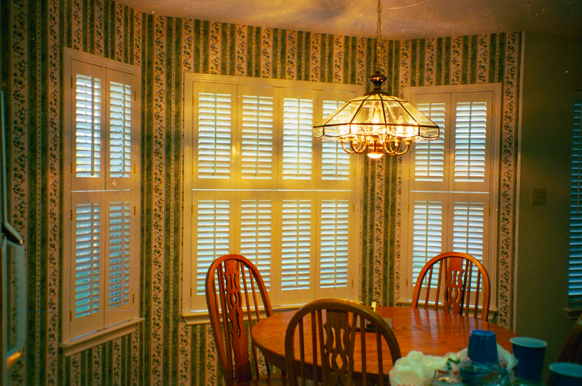 We first began selling custom plantation shutters in February 1993, DBA Southern Shutters. We opened the doors in a North Austin factory, located off Howard Lane and I-35. We quickly saw how much Austin needed a local team of experts for window treatments. 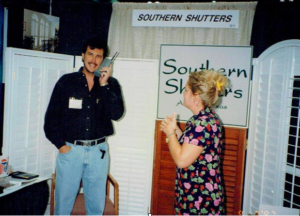 In those very early days, we relied on a larger shutter company for raw shutter panels. We built the custom frames for them, and painted the whole ensemble ourselves, and then installed the finished product. Soon, it became obvious that to control the quality of the shutters we needed to manufacture them and we wanted to do it locally! Space became an issue as we struggled to keep up with demand at our small facility. The solution was building our own local manufacturing plant and thereby, putting us in control of every aspect regarding the quality of our shutters. And that is how we ended up in our 10,000 square foot shutter manufacturing factory, just 15 minutes east of Austin in Manor, TX. 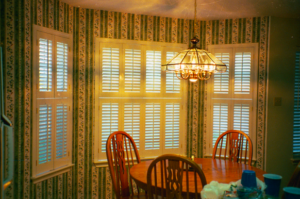 By that time, November of 1997, we had become Southern Shutters, Inc.
As the years went by, requests for wood and faux wood blinds increased. To meet that demand with the same quality we produced plantation shutters, we added our own line of 2” and 2.5” wood and faux wood blinds. To reflect this addition, our name became Southern Shutters and Blinds. 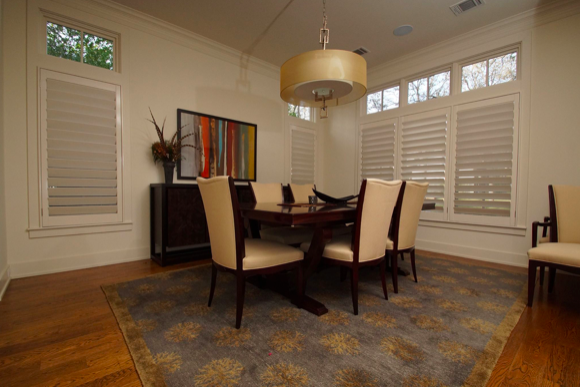 While our focus was on crafting our own custom plantation shutters- we also offered the finest in custom fitted window shades, including Hunter Douglas™ and other quality brands. With an ever- growing product line and customer base, it was time for expansion. In addition to our production facility, we opened a showroom on Williams Drive in Georgetown in 2007. Here, our clients can see our expanded product line, including exterior shutters and exterior shades. Once again to reflect this growth, our business name has been expanded to Southern Shutters Shades and Blinds. After 25 years in business, we are pleased to offer the finest in window coverings, whatever your choice or style may be. We are, however, particularly partial to our original – the custom plantation shutters we manufacture ourselves. Looking back, reflecting on how far we’ve come, from the once popular style of 2 panels, with 2 ½” louvers and visible tilt rod – to the modern plantation shutter consisting of a single wide panel -up to 48 inches and wide louvers of 4 ½” and hidden tilt rod. What a difference 25 year’s makes! Our story wouldn’t be possible without you and your neighbors in Austin and the surrounding communities. Thanks to our valued customers, we have been able to do what we really love — combine our passions for wood, hand work, technology, and business into the company you turn to for superior window treatments. We are so thankful to be in a community that truly values local business, because it is such an honor to serve our friends and neighbors with the best shutters in Austin. Here’s to the first 25 years, to you, and to 25 more!